John Singleton burst onto the scene with his 1991 debut Boyz n the Hood and was heralded as a rising star. Being labeled the voice of the African-American community wasn’t fair to Singleton, and there was little chance he could match the expectations. I had the opportunity to interview him over the phone while reviewing Baby Boy for digitallyOBSESSED in 2001. He gave short answers with only basic details and didn’t seem comfortable. Part of the issue was my lack of experience, but his reluctance made it tougher. When that conversation was added to a book on Singleton by the University Press of Mississippi, it was surprising because it stuck in my mind as a failure. Regardless, getting the chance to speak with Singleton gave me added curiosity about his work. I’d always intended to see his second film Poetic Justice, despite the mixed reviews. It also includes a rare performance from Tupac Shakur before his tragic death. It’s a definite change from his first movie, but Singleton’s characters still live in the same world. Justice (Janet Jackson) works as a hair dresser while trying to recover from the shooting death of her boyfriend (Q-Tip). She joins a road trip with her friend Iesha (Regina King) and meets Lucky (Tupac Shakur), a postal worker raising a young daughter. They don’t seem compatible but strike up a connection during the ride to Oakland. Romance is possible, but there are plenty of obstacles in this unforgiving environment. How does this film connect with the themes of Boyz n the Hood? Singleton again chronicles young people struggling with the challenges of living in a violent urban landscape. Characters are killed over minor slights, and guns are a part of daily life. That said, Justice and Lucky don’t actively participate in the carnage. They’re likable and trying to avoid getting pulled into the chaos. The question is whether they can make a true connection given the barriers in their lives. He’s working to support his daughter and dealing with her drug-addicted mother. She’s never truly recovered from watching her boyfriend get murdered. When they hit the road, the story feels much different than Singleton’s first movie. They crash a family barbecue and enjoy the friendly atmosphere, and we’ve moved a long way from their problems in the city. It expands the world and reminds the characters that possibilities exist beyond their tragic past. Where is Singleton venturing in a new direction with this film? Poetic Justice is a romance with softer edges than his debut. He’s digging into what makes the characters tick and focuses mostly on the leads. Justice’s poetry (written by Maya Angelou) appears throughout the movie and comments on the action. It doesn’t really work and seems forced, but this device moves sharply from the furor of Boyz n the Hood. 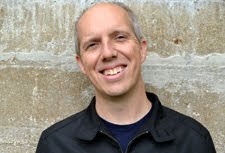 Singleton takes his time and lets us get to know both Justice and Lucky before the trip. This makes them individuals defined beyond their romance. It’s a much different movie, though the adjustments don’t always send us into fascinating territory. The reason to see this movie is Tupac, who has such a relaxed screen presence. We understand plenty about Lucky in only a few scenes, and that natural charisma is just right. It’s not as flashy as his debut in Juice but is a better performance. The challenges appear with Janet Jackson, who drew plenty of ire for her acting. She isn’t great, but the fault doesn’t fall solely on her shoulders. Singleton’s writing lets her down and treats her inconsistently. Jackson’s lack of confidence shows, but just denigrating her acting is too easy. Regina King and Joe Torry also struggle as grating supporting characters, and both are talented actors. Singleton uses their tumultuous relationship to counter the growing bond of Lucky and Justice, but it’s too obvious and loses steam by the end. Does Singleton avoid the "sophomore slump"? If so, how does that happen? This is a tricky question because Singleton never matched the creative success of his debut. Rosewood and Baby Boy are both strong films, but they fall short of the massive expectations. It’s unfair to judge Singleton’s career on such a high standard, but there’s no way around it. 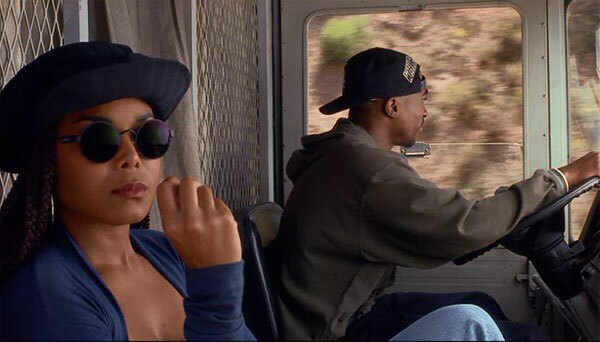 Poetic Justice connects to some themes from Boyz n the Hood yet lacks the same punch. It’s too predictable and only survives because of Shakur’s presence. It does include many African-American actors who’ve gone on the greater things; there’s plenty of talent on the screen. All the pieces never fit together into a cohesive whole, which leads to a disappointing result. It’s hardly a complete failure and has potential, but the misses outweigh the gains and deliver a mostly forgettable outcome. Next week, I’ll begin a new marathon on female directors with Miss Representation. Yeah, I recently saw this movie and it was kind of terrible, which was such a letdown when you consider how great his debut was. You summed things up nicely, and nicer, than I would have. Yeah, it's a disappointment coming right after Boyz especially. I'd heard a lot of bad things, so I went in expecting it to be awful. That probably led to me being a bit nicer than it possibly deserves. I thought this was an alright film. 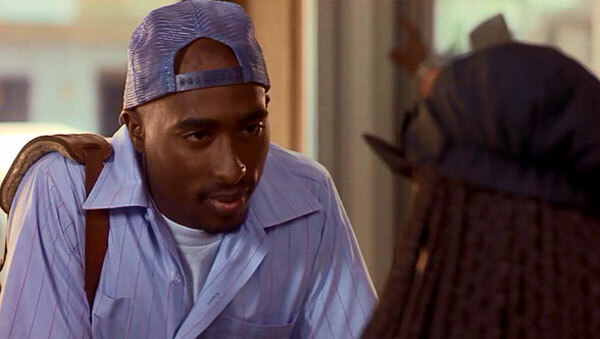 Largely due to Tupac Shakur who definitely had what it takes to be a great actor. Hell, I'd think if he was alive right now. He'd be in 12 Years a Slave or something substantial. I thought Janet Jackson was alright but I agree with you on the narration which I didn't really like. John Singleton is a pretty decent director who had a great debut and a few noteworthy stuff like Baby Boy and 2 Fast 2 Furious but definitely lost a lot of promise as it's obvious that his nadir was that awful action movie starring Taylor Lautner. I agree about Singleton, who just doesn't seem to know what he wants to be as a director. I think he decided to just to do some fun movies with Shaft and 2 Fast 2 Furious. That's fine, but he's just not balancing it with much else and isn't doing much these days. I still can't believe he directed that Taylor Lautner film. I haven't seen it, but the trailer made it look very generic. Just saw this for the first time, and was surprisingly engaged. I didn't remember that the reviews had been so mixed-to-poor (though I knew it certainly didn't receive the acclaim of Boyz) - I honestly didn't find it to be all that weak. I guess I could see why Jackson wouldn't connect with some viewers, but I thought she was perfectly fine in the part. Tupac is definitely the highlight and I agree that this is actually a better performance than Juice (which was good, but kind of a weirdly written part and difficult to play entirely convincingly). In fact having watched all of his work recently, I'd say this is his best part period, with only Gridlock'd coming close. What appealed to me about the movie was the balance it struck between the youthful ambition of Boyz (which is certainly one of the most auspicious debuts of all time) and a more intimate, small-scale story. On paper, it could easily be a run-of-the-mill romance and/or an excellent little indie. 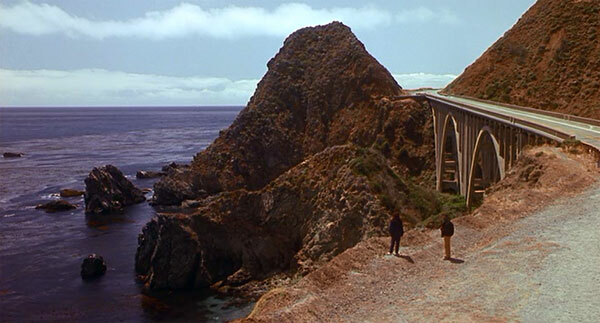 But instead, Singleton seemed to treat the film with an epic brush, liberally using the Californian landscape, taking bold risks with the poetic narration, and even opening the movie with a high-concept clever conceit (the Billy Zane movie-within-a-movie that contrasts "typical L.A. melodrama" with what he intends to create here). I also kind of liked how the screenplay shuffled along, not adhering too closely to a formula (except I guess in the ending when the characters reconcile without any real dramatic nudge, because the film needs a happy ending - it works well enough but feels a bit forced). Characters come together, separate, run into obstacles, go through their daily routines, etc, in a fashion that didn't feel rushed on the one hand or random on the other. I dunno, it's clear looking around the internet that a lot of people disagree with me, but my first impression of Poetic Justice was that it was fully sound, very engaging, and a deserving if very different follow-up to Boyz. 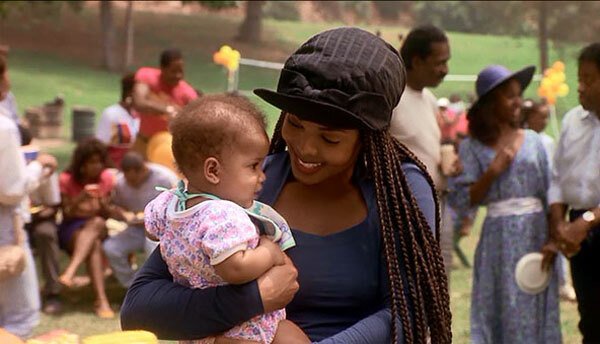 I haven't watched Poetic Justice since when I did this review, so it's possible it might play differently now. I see what you mean by the way the screenplay avoided the formula in some ways. It's more episodic and less focused on a driving plot. It's definitely worth seeing for Shakur, and Singelton's an interesting director. The writing just didn't click as well for me, mainly a lot of the dialogue. Still, it's definitely an interesting follow-up to Boyz.